My journey in the Kolvereid county had finally come to an end, my 3 weeks with Peter, Stine, Benjamin and Annabelle had flown past me, with many great memories we headed south towards the next host family. Apparently, my stay with them wouldn’t be complete without a stop at the Namsskogan Family Park, Namsskogan was a cross between a zoo and a family fun park with animals roaming in large habitat enclosures and family fun activities. 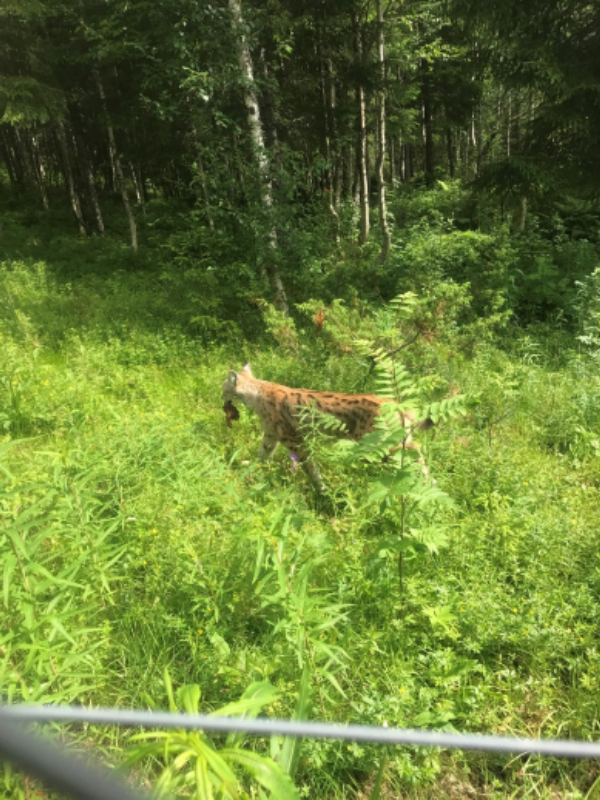 We were very lucky to be at the lynx enclosure for feeding time, as it is known to be hard to see. The park also features a giant zip line across the lake, climbing park, a louge rollercoaster, sand pits for the young ones and boat “dodgem cars”. With open arms my new host a previous IFYE to Costa Rica, Maren and her husband Yngve opened their home to me. Maren and Yngve lived on a small rural property in the Inderøy kommune with their two sons Ola (3yrs) and Anton (3mth) they also had more kids but they were the goat kind. Yngve had a big focus about living from the land and being self-sufficient from their property. From the small vegetable patch we had potatoes. Each night we had frozen mushrooms that were picked from the nearby woods in the season before and there was also a freezer full of moose. 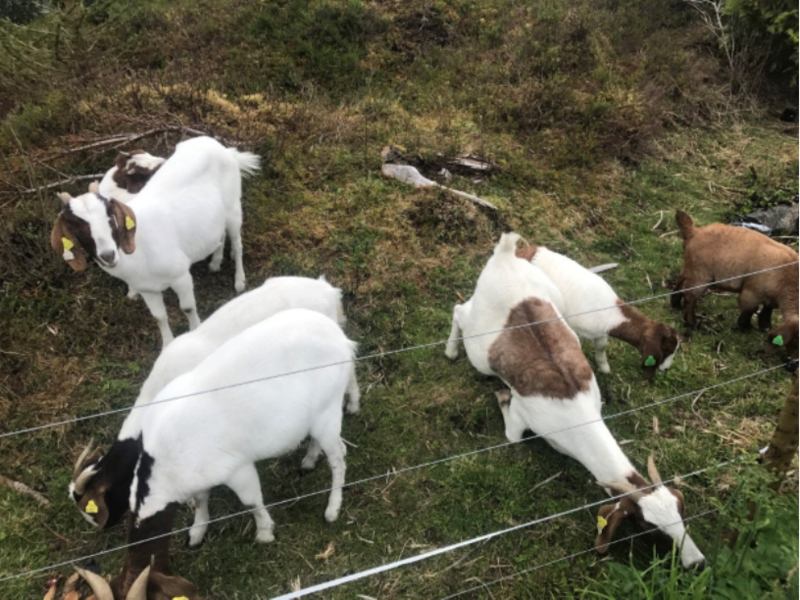 The goats were used to clear the ever growing forest to return the area into a rocky pasture. Not far from home there was a lookout with a large open hut facing the fjord with a charcoal barbecue to grill on as well, the local 4H farm is close by so they use it for the occasional gathering in the summer. Maren decided that I needed a quick tour to orientate me (or confuse me) as to where we were living in the area, the area had everything from a microbrewery to a potato chip factory, we stopped by the old church that is nearing 1000 years and is the epicentre of Christianity for the area. The local area keeps on surprising, Ganstard is the home to one of the first dairy/cheese and ice cream farms in middle Norway. 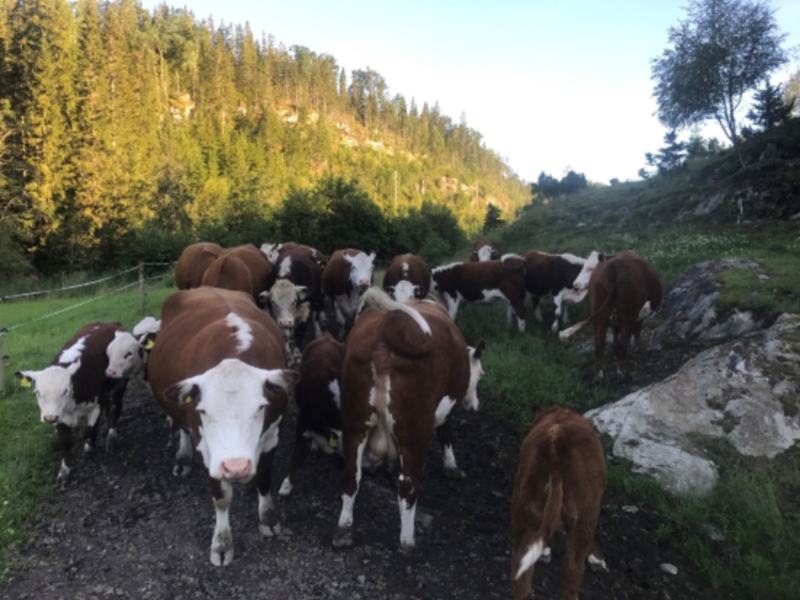 The next door neighbours are Lene and Jon who own the beautiful Snerting Ranch, a small farm of 20 beef cows, a couple of goats and a pet dog. Unlike the norm, the beef cows at Snerting spend the full 12 months outside with access to a section of barn in the winter to shelter from the snow and rain. Lene has horses that are used to help train some of the young foster children who stay on the farm as well as 4H. In addition to the farm Lene and Jon run a second house that is available on air BnB. During the cold months the farm is entirely heated off a furnace boiler that pumps water to both of the houses and also the machinery shed. This furnace is fired by wood chips. Once a year they contract an industrial chipper to chip down entire tress to fill their barn, ready for the next winter. At the camp on Jøa I became good friends with the members of local Alumni Association. They organised to have a summer weekend at Maren’s house where we barbecued dinner, played grass games till early the next morning and on the last night watched Cool Running’s, I have now officially introduced the Jamaican bobsled team to Norway. The last day we had together as a group we borrowed the canoes from 4H and went paddling for the afternoon on a rare sunny Sunday. On a road trip Yngve’s friends were keen to meet “the Australian”. Jon and Caroline had a cabin in flatanger, it was the old family home that Jon’s grandfather built. The family used to fish for herring in the local fjord, there was an old wharf that they still owned but it had seen better days back when the water was teeming with life. Jon’s boat was a small but pleasant vessel, with a little old putt-putt motor it steamed through the fjord as we trawled for sea running trout. Stiklestad entered the history books as a battle field location, where King Olaf Hardaldsson was killed 1030. Shortly after his death he was known as a Christian martyr. A culture centre and hotel was established in 1995 with the St Olaf festival and play yearly each summer. With my bags packed and loaded onto bus to travel the 12hours from Nord-Trødelag to Ostfeld. Finally we arrived at the Nordic camp, the big event for 4H where the Scandinavian 4H come together for a week of activities. I joined one of the groups to visit the local 4H farms, the first farm predominantly produced fire wood to sell to the local area, the second farm was a mixed vegetable farm with a large field brimming with all types of vegetables where the locals can come and pick their own to take home. Also to add to the vegetables they had a blueberry patch, 6 different varieties in neat rows. Another activity I joined was the visit to the Old Town, Fredrikstad. “The Fortified town was founded in 1567 by King Frederik II, and is today considered the best preserved fortified town in Nordic Region. Another day was spent in the town of Halden where the new fortress was built. We started the tour in the towns church where we had a presentation of the history in the town. We were marched through the town in lines of 4 by men dressed as soldiers who would have guarded the fort. With 1200 youth delivered inside the forts walls, we were let loose to explore. 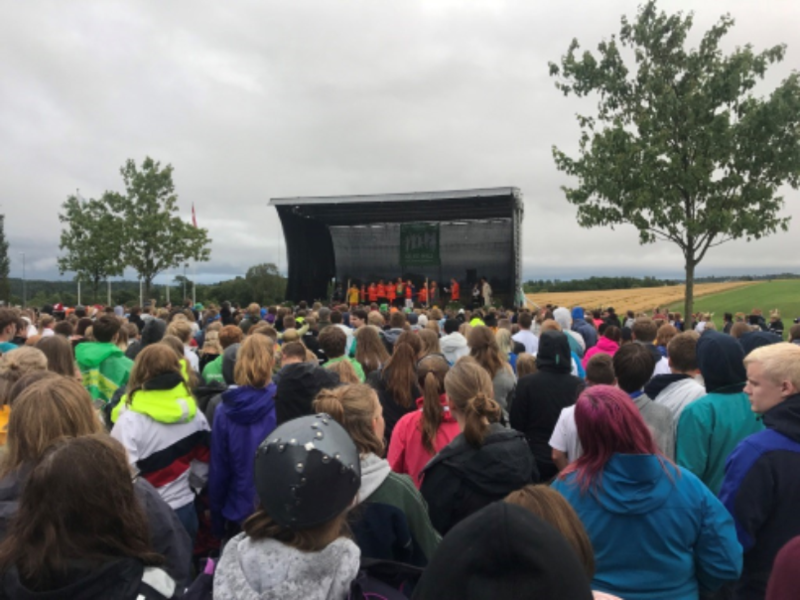 Later that evening we attended "Allsang på grensen" a summer concert with various famous Scandinavian artist. Like any 4H camp it is tradition to stay up all night on the last night, I am a little unsure as to why, but it seems that you use the time to enjoy the last moments with your friends that you may not see for another 12 months. All throughout the night buses loaded up with passengers to return to the counties, the car park was always full with people saying goodbye and having those last moments together with a long lasting hug. It came time for me to say goodbye to my county as I would be heading in the opposite direction, with a long line of hugs and handshakes we said goodbye. Early the next morning it was my turn to load onto the bus, sleep deprived I was set for the 10 hour bus ride to the next county and my new host family. At the final stop I was met by my new host Tone in Byrne. 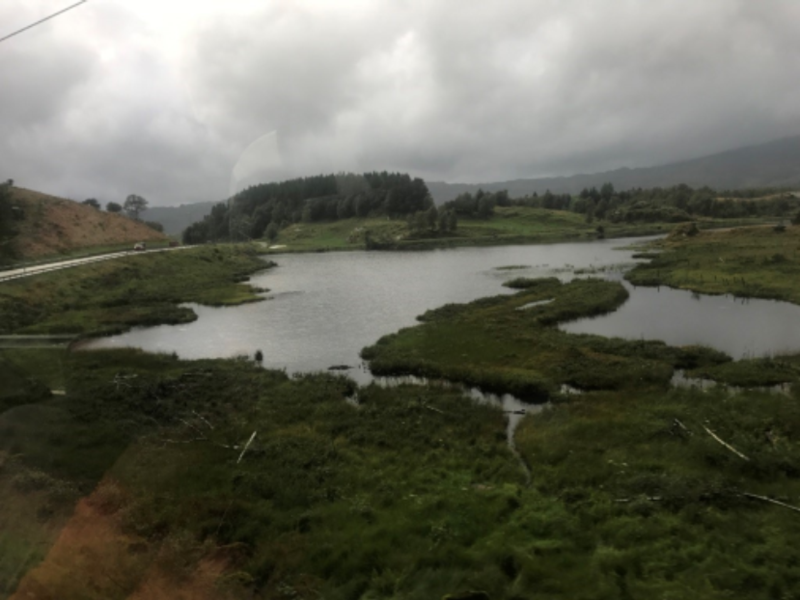 With a quick 45 minute drive to the city of Stavanger we arrived at the family home, this host family was a little different to the others as I would be living in the city, only 5 minute’s walk from the centre of town. I was taken on a lazy Sunday stroll through the city with the family, Jarle, Tone with their two sons Filip and Teo. I was taken through the “Old Town” which compromised of 250 wooden buildings from the turn of the 18th century. Mostly small wooden cottages with cobble paved streets. After the second world war a new city plan was created for Stavanger, where the city was to be modernised and most of the wooden buildings removed but one voice spoke up, Einar Hedén to save the small section of the city which is now known as one of the best preserved towns in the scandic region for that era. Over the next couple of days, I explored the city by myself. Dotted throughout Stavanger and other major cities in Norway are Ebikes, an easy way of getting from A to B at a small cost. Stavanger had plenty of history to be told, so I explored the local museums. The Maritime Museum showed the history of the harbor and how the water front has changed over the years. One of Stavanger’s major historical trading commodities is smoked sardines. Visiting the Tin Museum gave me insight as to how the town had grown from this tiny fishing village to being the capital of sardines. The Tin Museum had a great range of historical machinery used to smoke and tin the sardines to be ready for shipping. 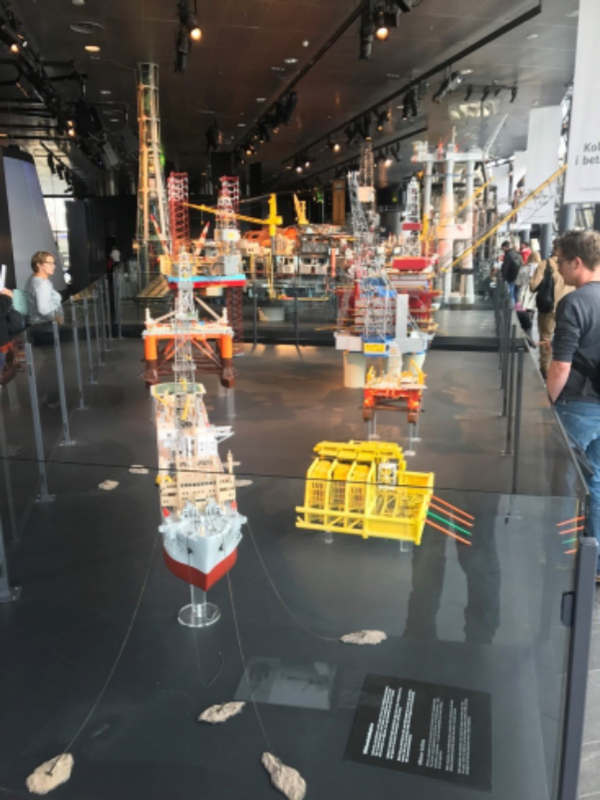 I was told that my trip to Stavanger wouldn’t be complete without a trip to the Oil Museum. Stavanger is known as the oil capital of Norway. Since striking oil in 1969 on the Norwegian continental shelf Norway boomed as an oil country. The museum was a great insight and education of how dangerous the industry was especially in the early days. In my adventures around the city I stumbled upon a small takeaway shop, “Dun Dee Take Away” I couldn’t believe it, of all the places, there was an Australian guy making food in the city of Stavanger!! I was lucky that Filip had a fencing training camp in a small village by the name of Ulvik in the Hardanger region. 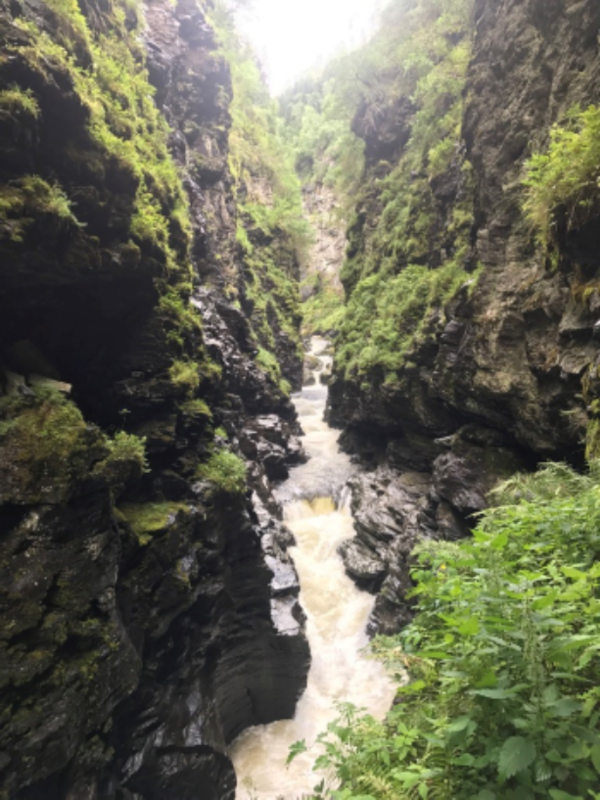 I took this opportunity to travel with Jarle and Filip to Ulvik on the Thursday afternoon so I could meet my Australian friend Meg in the nearby town of Voss. Meg and I originally met on the Young Endeavour - the Australian Navy sail training vessel nearly two years before. We stayed in contact and Meg just happened to be coming to Norway! Meg and I rented a little cabin not far away from the centre of Voss. Being so close to the town centre allowed us to adventure all weekend. Adventures varied from short walks to Wind Tunnel Dive at Vossvind. Flying in the tunnel was an unreal experience, within about 30 seconds I had control of my stability and the instructor signalled me to start playing with the dynamics of flying. After a fantastic weekend in Voss it was time to head home to Stavanger and on to my next family in Undheim. I was packed up and ready to move camp to the next family. My host mother Aud picked me up and we were off to the farm. In conversation on the way I was asked of what I missed from home the most, I responded with “honestly, the food” shortly after we arrived at the butcher’s shop and I was told to choose whatever I wanted. It was soon clear to Aud that I enjoyed cooking and then I was made chief cook for the week I would stay with them, I even cooked a melt in your mouth lamb roast. The Rista farm was primarily a dairy, they had a large cow house with a robot milker, as well as a large pig house. Unfortunately, I was unable to see inside the pig house as I hadn’t been tested for parasite. It was explained to me that if any of the pigs contracted the parasite it would mean that all the pigs would have to be culled as per government regulations. Aud and Gina took me to Preikestolen, otherwise known as the pulpit rock, a well-known Norwegian tourist attraction. 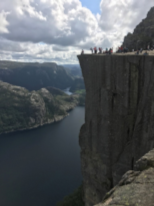 To get to Preikestolen it was a short hike in the hills of the Lysefjorden to reach the famous land mark. The track was refurbished yearly and rebuilt by the Nepalese Sherpas, the track was crafted from the stone surrounding the landscape. 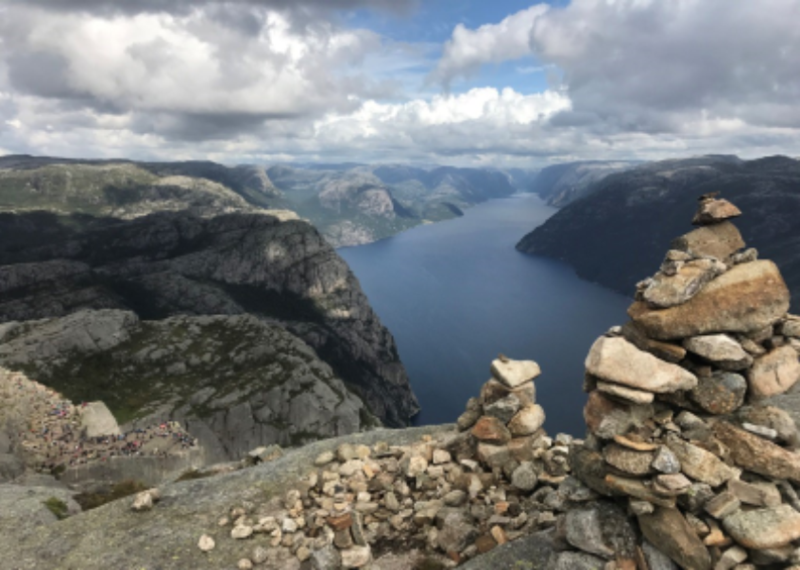 After an hour’s jog Gina and I arrived at the rock that was covered in hundreds of tourists, with a few quick snaps we decided that it wasn’t enough so we kept climbing to the next peak that over looked Preikestolen. From this higher view point we could see the masses of tourists gathered on top of Preikestolen. Half way down our descent we set up to have some food with a charcoal barbeque. We sat back cooking the salmon we had prepared in foil parcels. Shortly after returning to the car park, I received a message from Meg inviting me on a hike with Tone and the family. With half a plan I meet Meg in the heart of Stavanger to shop for supplies and arrange transport to Florli. After asking around we boarded the train that would take us to a bus terminal and then bus to where the fast ferry would take us the rest of the way to the small village and power station of Florli. Our original plan was to hike the 4444 stairs from the power station to the reservoir at the top of the fjord. With the lack of time we had to go to plan B, slog it out up the other side of the valley and then across the top of the fjord to Skäpet. Trekking through the ridges and valleys was pretty breath taking as we made it to the top of each crest, we never knew what we would find. 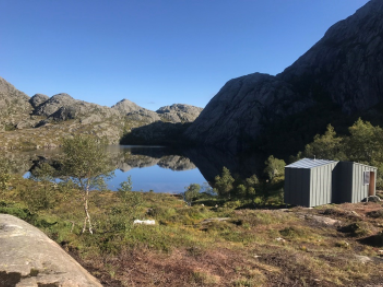 2 hours of climbing out of Florli and another 3 across the top, we finally made it to the permanent cabins perched on a giant rock slab overlooking a small lake. These cabins were the newest addition to the hiking organisation, completely furnished and even a wood fired sauna! Returning from my hike, I had to quickly pack my bags as it was time to move to my new home. Elin, Dag and Sindre were my new hosts for the next two weeks, the family lived on the family farm where they breed horses for trotting, egg laying chickens and kept cows for beef. Elin ran the farm with her father, her husband Dag was a baker in a nearby city and Sindre was still at school but also had a huge interest in the family farm. The farm was also home to Elin’s brothers trucking company, one of the biggest in the region in fact. As part of my stay I helped with general farm hand work as well as a lot of carpentry work. Once it was known that I was a trade qualified carpenter my job list grew very quickly. The first job off the rank was to replace the rotten windows in the stable, it didn’t take long for this small job to get complicated as the rot had spread to the wall studs. After removing and replacing most of the surrounding timbers the windows were in and sealed ready for the winter to come. I was relieved to have this project finished, unknown to me but there was a new job on the list, you guessed it! More windows…. The task at hand seemed quite simple and we had a plan, well that plan didn’t last long as we had more work replacing rotten stud work again. 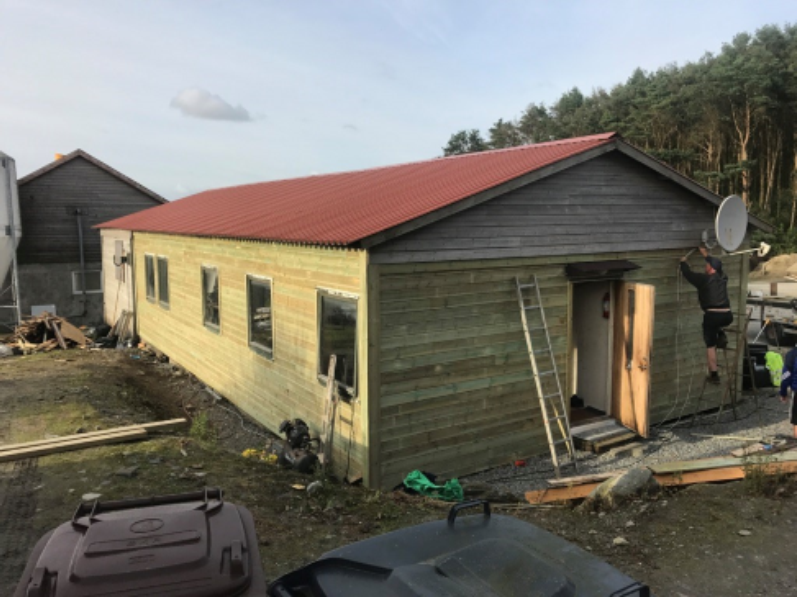 A few long working days and I had the building wrapped, the windows in and the weather boards fitted. It was now time for the Norwegian IFYE gathering in Trondheim, from Rogaland I had a short flight to Sør-Trondelag where I met with the previous exchanges from the IFYE program. We had a great weekend of wandering the city and hiking and climbing a nearby mountain. The NIFYE group conducted their annual general meeting as well that weekend. I once again joined Maren and returned to her home in Inderøy. 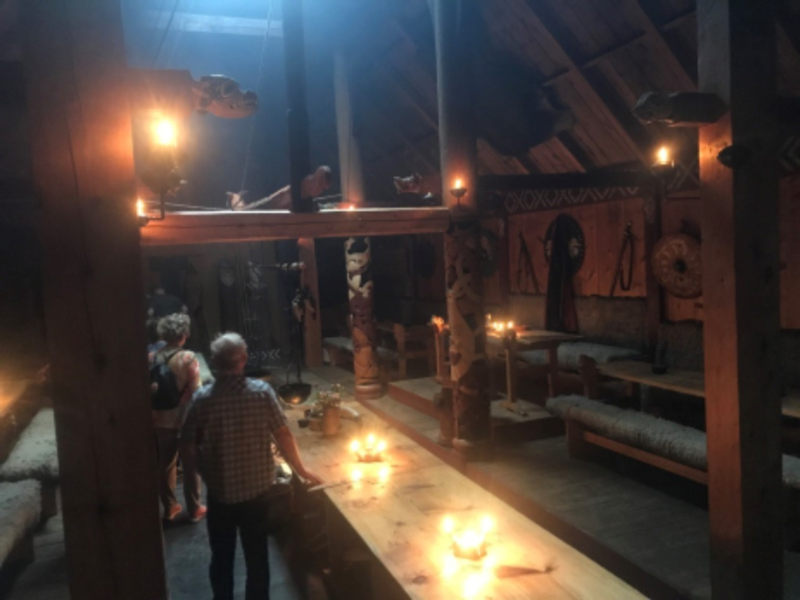 My stay with Maren and Yngve was a delight once again, with plenty of adventures including mushroom hunting in the forest and also visiting Maren’s home town and family dairy farm. I couldn’t believe how fast my stay in Norway had gone, 3 months just flew by! As a Tasmanian ambassador for Rural Youth I thoroughly enjoyed and took much pleasure in sharing and exchanging ideas and practical experiences with my adopted families and others I met. I encouraged those who were eligible to consider participating in the exchange programs available and welcomed anyone who was particularly interested in visiting Tasmania. After safely returning home to Australian soil I couldn’t help but miss Norway and all the families I had lived with. I am very grateful of the experience that the Rural youth study tour has given me let alone all the international friends and family I now have. I endeavour to return to Norway in the future, to once again see all my Norwegian friends.